VSCO Cam is an app that’s packed full of features that enable to you edit and enhance your iPhone photos. 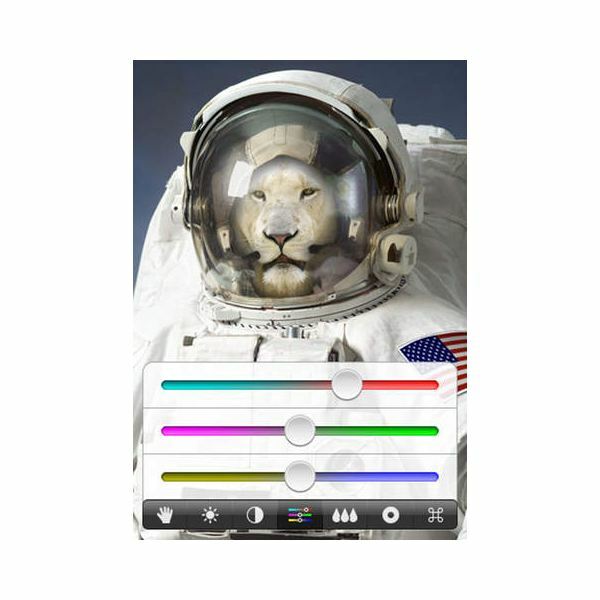 The app offers several filters that can be applied to your photos for creative effects, as well as useful editing features, like the ability to adjust brightness, contrast, temperature, and so on. VSCO Cam is more than just a photo editing app, you can also use the app to improve your photos while you’re shooting – with the option to adjust shutter speed, white balance, and more. 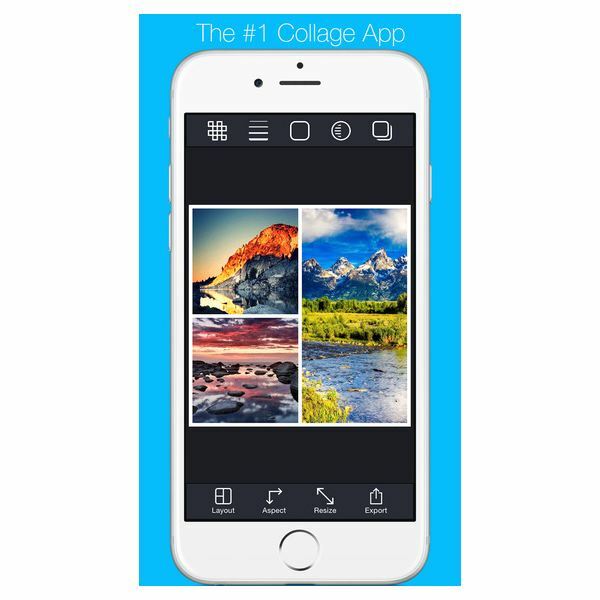 Marketing itself as the number one photo collage maker, Pic Stitch is an iPhone app that offers 245 different photo collage layouts, the ability to create your own layout, as well as 15 photo aspect ratios. 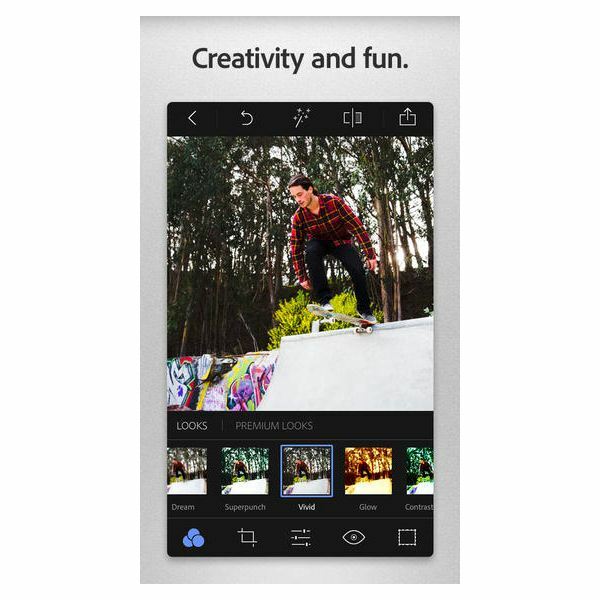 The app also offers its users several photo effects filters and the option to pan, rotate, flip, zoom, and mirror images. Creating a photo collage is easy with Pic Stitch and the results look amazing! Reflections in photos can look incredible, but it isn’t always easy to capture the perfect reflection. 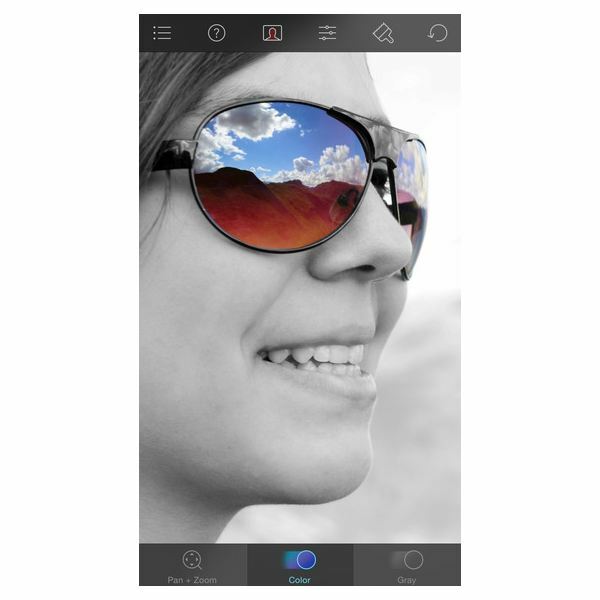 Photo Reflection is, as the name implies, an iPhone app that allows you to add reflections to your images. Using this app, you can add a reflection to your photo in any direction and you can also adjust the height and fade of the reflection. 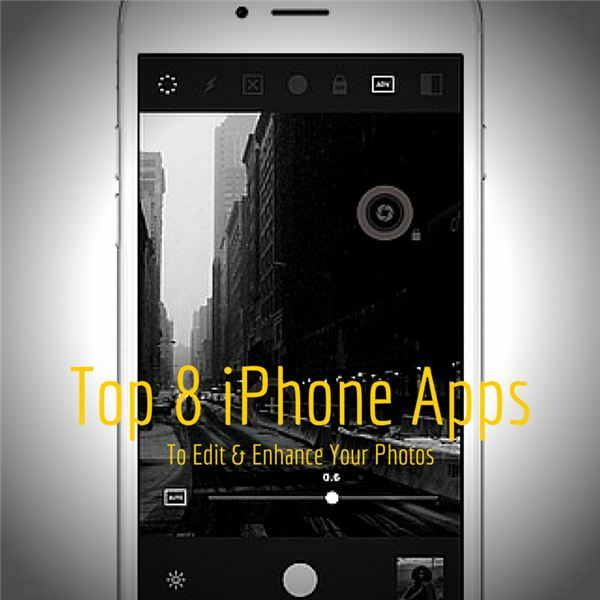 The app includes 16 effects and basic photo editing tools. The selfie craze isn’t going away. With that said, if you’re not feeling it for the #messyhairdontcare or #nomakeup trends, then check out Perfect365. 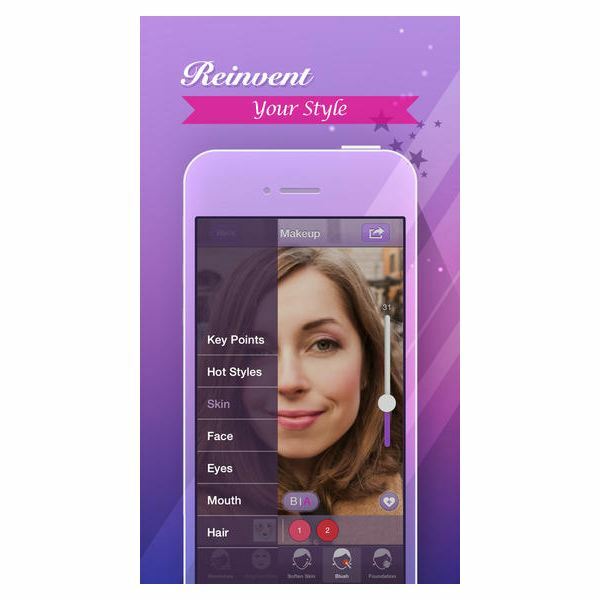 This app has so many customizable features, you can take your selfie photo and turn it from drab to fab quicker than you can pull a brush through your hair. Perfect365 offers over 20 beauty tools and its preset makeup templates are inspired by current beauty trends and celebrity styles. You can even try new hairstyles with this app! FantasyLens is a fun iPhone app that enables you to add your photo to a number of fun templates – currently there are 57. By either taking a photo with your smartphone or using an existing image, you can quickly and easily combine it with one of the offered templates to turn your subject into an astronaut, sunflower, or even Lady Liberty herself. 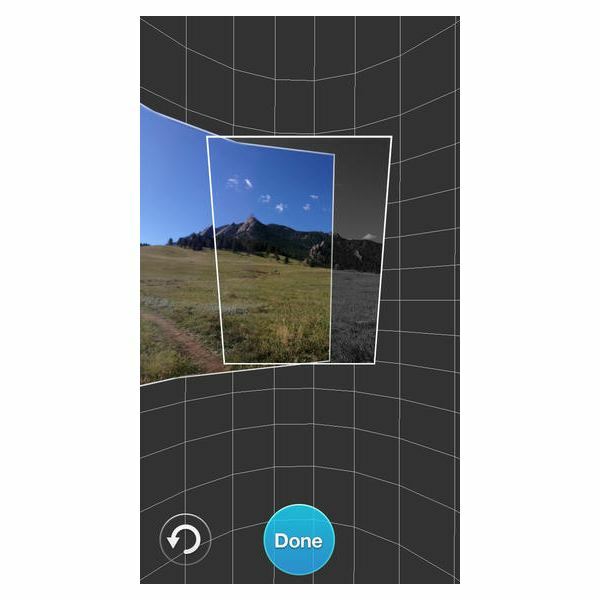 This highly rated app offers you a way to very quickly and easily create a 360-view photo of your surroundings. Unlike a traditional photo, 360 Panorama photos show more than just a glimpse of where you’ve been. All you need to do is pan your smartphone and the app will stitch the images together seamlessly. Your panoramas are geotagged and you can share your photos to Facebook and Twitter directly from the app. If you’re a Photoshop user, you may be familiar with “selective desaturation” or “selective coloring." Color Splash does the same thing with your iPhone photos. The app allows you to convert some parts of your photo to black and white while retaining the color in other selected areas. It’s a fun app to play with and can really enhance your photos, drawing attention to the subject. Adobe Photoshop Express has all the tools and features you would expect to find from an Adobe photo editing app. You can use the app’s one-touch auto adjustment features to fix your photos, or take full control over the post-processing process by using the slide-controls to adjust exposure, white balance, contract, and more.